No Fear Creativity Challenge – Final Day… or is it? Take a look back on all that you have created this month. 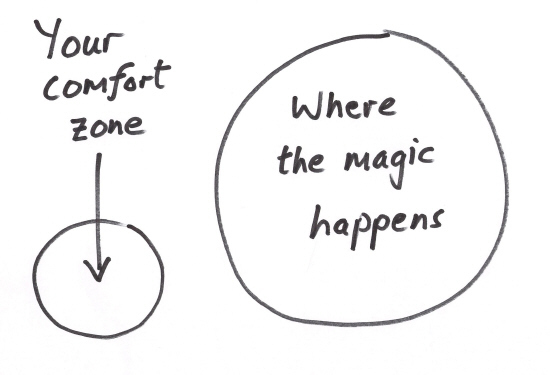 How have you stepped outside of your comfort zone? How have you tried new things? Where did you take risks? It doesn’t have to stop here. Continue to take risks in your creativity. It doesn’t have to be perfect. This is primarily about the process. If you keep doing the same thing the same way you will keep getting the same results. Dip your feet in the pool outside of your comfort zone if only to see if the water is nice. You’ll never know until you try. Take a chance. Be risky. Create out of your comfort zone.